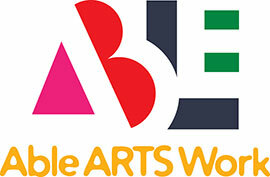 Our philosophy at Able ARTS Work (formerly known as Arts & Services for Disabled, Inc.) is "Love Before Learning. Learn for Life." In everything we do, we strive to enrich the lives of the individuals we serve by providing a nurturing, supportive environment where each one can work toward their own personal peak performance and artistic expression. Your generosity helps Able ARTS Work in so many ways: your gift could pay for art supplies - paints, brushes, clay, glaze, yarn - or for gasoline for transportation vehicles. It could purchase new guitar strings or drums, or box lunches for a field trip. Your donation could also help us offer a scholarship to a student with financial hardship. To join our Love Before Learning. Learn for Life. honor roll, you may click here or contact Megan Christensen at (562) 982-0249 or mhanks@artsandservices.com. Thank you for considering a gift to support Able ARTS Work (formerly known as Arts & Services for Disabled, Inc.)! Thomas Safran & Associates Development, Inc.
William Townsend / INCO Commercial Realty Inc.